January’s meet of the Cheshire Brew Crew homebrew club saw the setting of our second ‘Recipe Roulette’ Competition! Again, each brewer picks a ‘Hop’ and an ‘addition’ from the random selections provided and then has a free reign to brew any beer they chose with those ingredients. 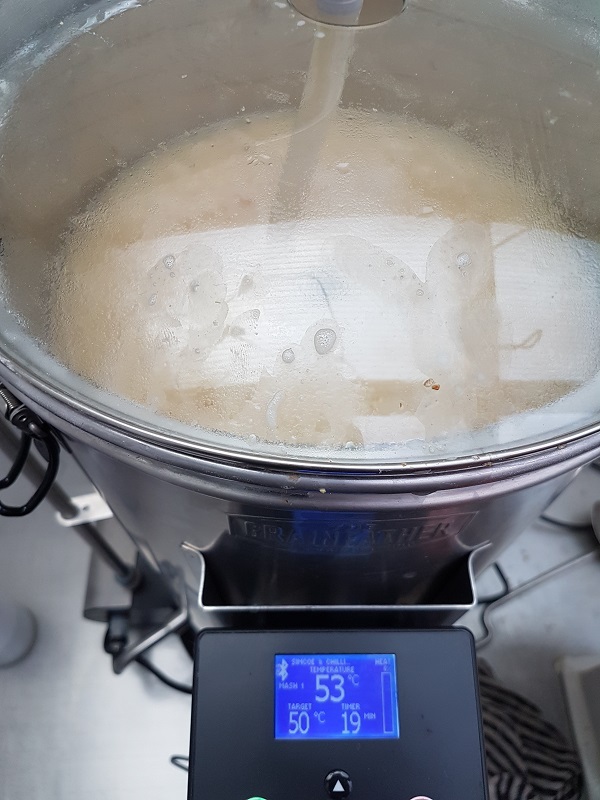 Last year I got very lucky with Amarillo and Orange Peel and ended up brewing the Saison in Brewday 33 which went on to be crowned Grand Champion! No pressure for this year then! This time around I picked Simcoe and Chilli! Not ideal but certainly not too obscure! The Simcoe hops really cry out of a hoppy American/Double IPA so hopefully a big grapefruit hit from loads of fresh Simcoe will be sufficient to balance out the heat from the chillies, and at least I have a little experience with brewing with chilli after the Smoked Chipotle Porter on Brewday 37. It will be a totally different challenge getting the flavours to balance in a lighter beer mind you! 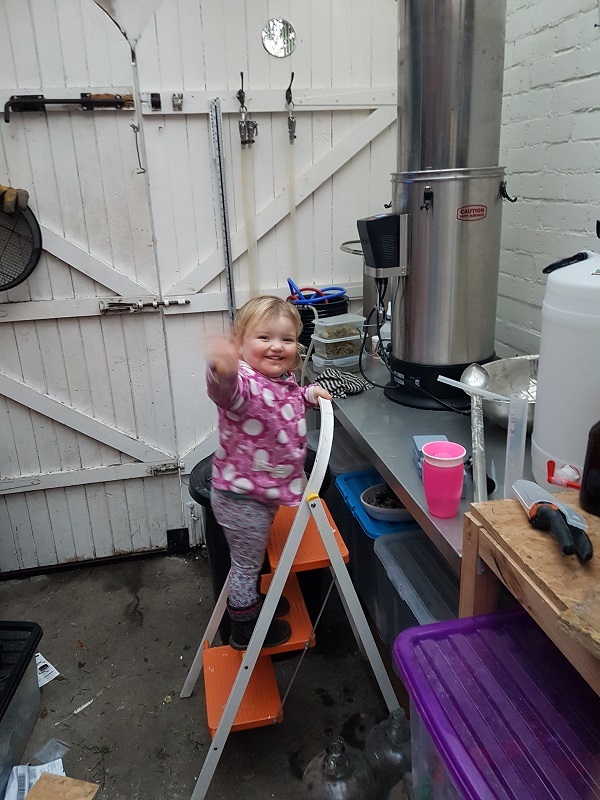 Unfortunately the brewday didn’t go exactly to plan… despite some minor adjustments to my Beersmith profile I managed to end up nearly 6 litres down on final volume 5 points down on target OG. 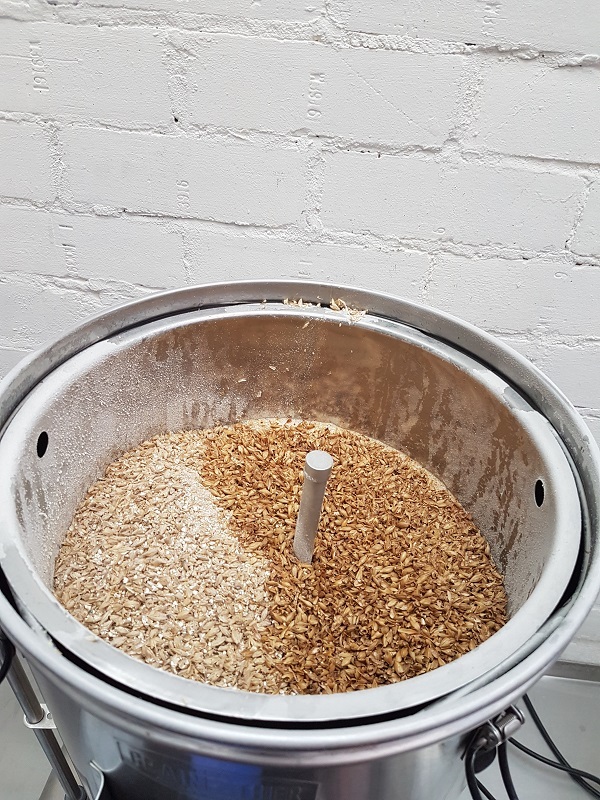 I (as is the Grainfather chap I chatted to afterwards) am at a loss as to where the volume has disappeared to without adversely affecting OG as with so much missing you would expect the OG to be sky high to compensate! It was perhaps a combination of a number of separate smaller issues through the session that caused the cumulative losses. Back to the drawing board with this profile it seems! 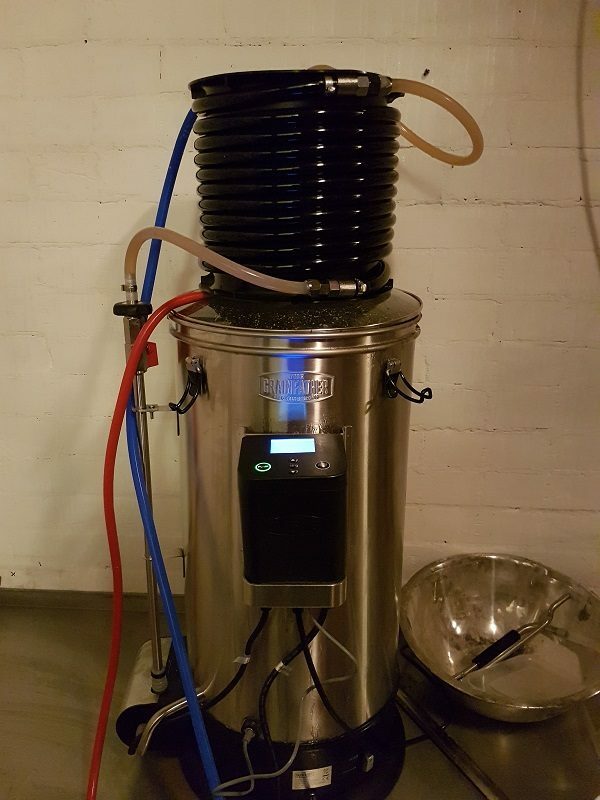 Either way, I ended up with 16 litres in the fermenter with an OG of 1.074 instead of the target 21 litres at 1.079. Hopefully the yeast will help me out again and the final ABV should be somewhere around 7.5%. 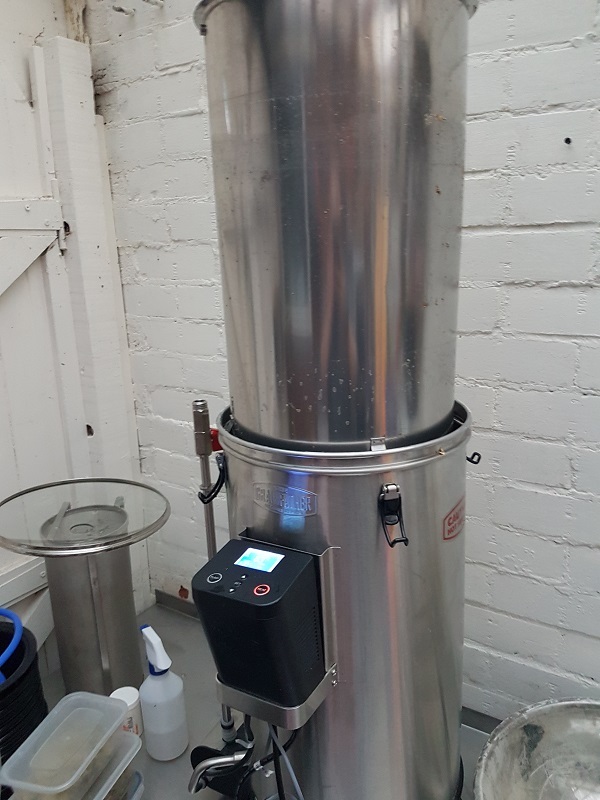 After 7 days in the fermentor I will be adding 20g of rehydrated Chipotle Chillies followed 3 days later by 200g of fresh Simcoe for a 3 dry hop. As the total volume is so low this batch will all be bottled and I will save the Corny Keg space for brewday 41!